A royal palace, fortress, prison, treasury and an infamous execution site, Her Majesty’s Royal Palace and Fortress has seen monarchs come and go for almost a thousand years. It was accepted that he (or she) who had possession of the mighty fortress had control over England. The Tower of London’s eminence and longevity make it one of the most fascinating must-see tourist attraction for families in London. After the Battle of Hastings in 1066, the Duke of Normandy, William the Conqueror, made his way to England’s largest town to build a royal residence designed to intimidate the restless and unpredictable citizens of London and establish his kingdom. At the time, most buildings were only two floor structures so the Tower would have seemed enormous to the surrounding population. At 90ft high, it could be seen for miles south of the River Thames where skyscrapers like The Shard now stand. The castle-like structure called the White Tower is the oldest part of the Tower complex. Described as a Keep, it was considered the refuge of last resort in the event of siege. Visitors still enter through the elevated entrance via a recreated wooden staircase, which would have been removed in the event of an attack. In the 13th century Kings Henry III and Edward I expanded and fortified the structure and it remains substantially similar today: a Tower castle surrounded by two concentric rings of defensive walls. The Tower complex was made up of three wards. 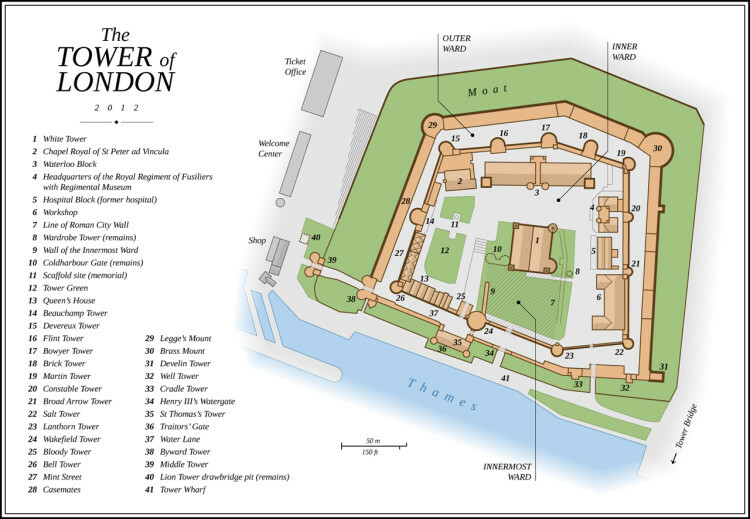 The innermost ward extending south from the White Tower castle toward the River Thames was created during Richard, the Lionheart’s reign and later extended by Henry III to include the inner east and north walls known as the inner ward. Most of Henry’s work survives and only two of the nine towers he constructed have been completely rebuilt. The outer ward or defensive wall was constructed during Edward I’s (1239-1307) reign to complete the Tower’s fortification and make it the greatest stronghold in Europe. 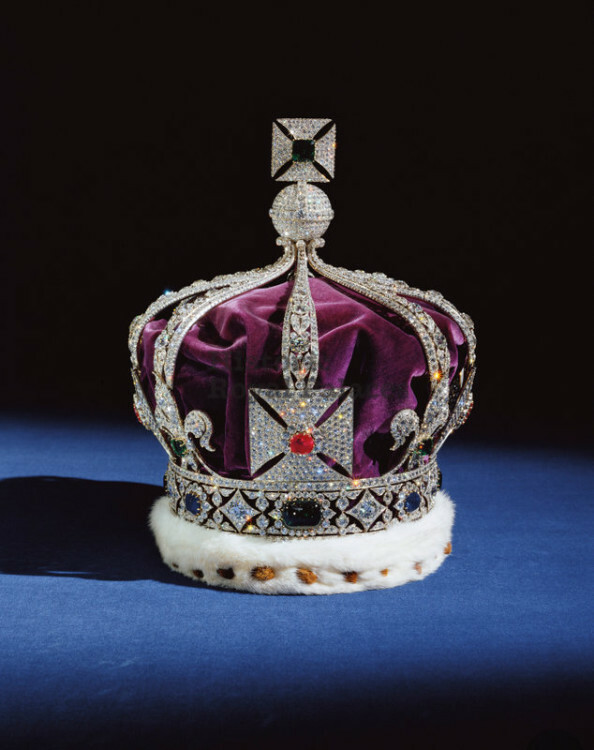 The Crown Jewels have long been a target of theft and were periodically moved for safekeeping. The monarch’s crown and other regalia have officially been kept at the Tower off and on since the 13th century. In 1669, a 77 year-old Master of the Jewel House, named Talbot Edwards, began to show the jewels to visitors for a small fee. It is hard to believe but at that time they were kept in a locked cupboard with only a metal grill for protection. In 1671, a Colonel Thomas Blood overpowered the custodian, tied him up and, with the help of accomplices, made off with the Crown Jewels. All the items were recovered, though some had been damaged. As you can imagine, drastic changes were implemented and an armed guard was employed, the collection was put behind bars in a windowless room, a guidebook was published and they were formally established as a visitor attraction. 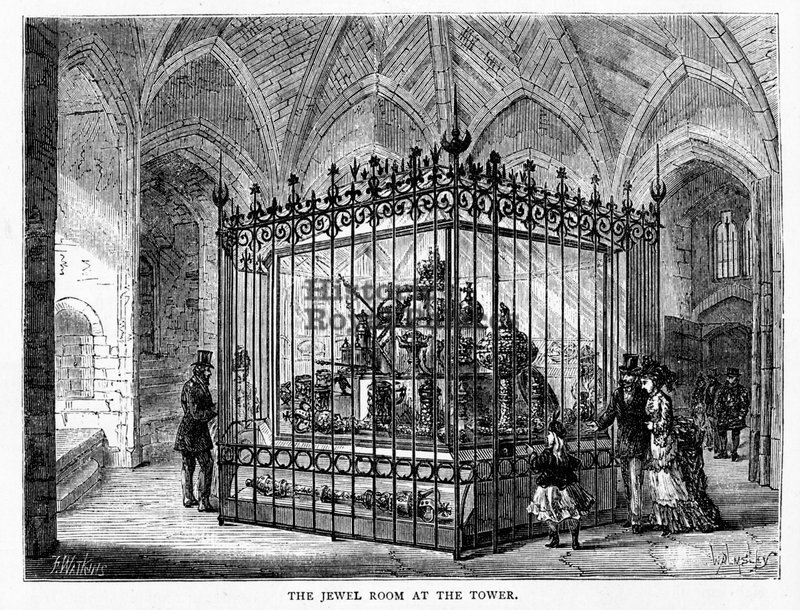 For a small fee payable to the Keeper, people could reach through the bars and touch some of the jewels. It seems Tower officials had not quite learned their lesson because in 1815 a female visitor grabbed the State Crown causing damage. This led to a rail installed to keep the public at a distance from the jewels, and the repaired State Crown was put in a glass case on revolving tables. 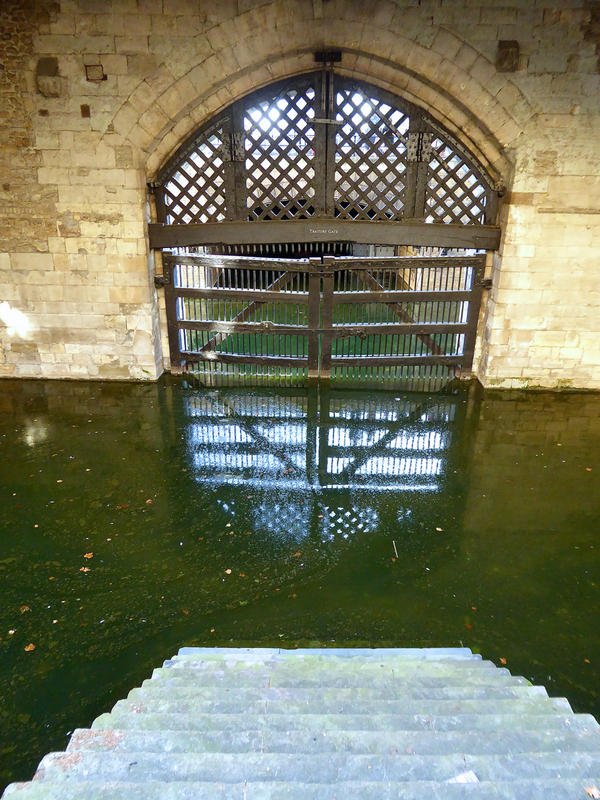 It is astonishing to our modern sensibilities but the Keeper of the Jewel House was allowed to keep the entrance fee that was charged. In 1838, one enterprising Keeper lowered the entrance fee to attract more visitors and his income rose to £1,500 (£120,621 in 2016). The folks at the Treasury finally caught on and in 1840 they drew up plans for the construction of a new building to house the collection and charged admission. The collection’s permanent home is now in the Waterloo Block, which is guarded by Tower Guards (the ones with the furry hats). Admission is included in the entry price to the attraction. Today, the jewels are protected by 5-centimetre-thick (2.0 in) bulletproof glass and visitors are closely monitored by more than 100 hidden CCTV cameras. Yeoman Warders, short for The Yeoman Warders of Her Majesty’s Royal Palace and Fortress the Tower of London, were formed in 1485 by Tudor King Henry VII. 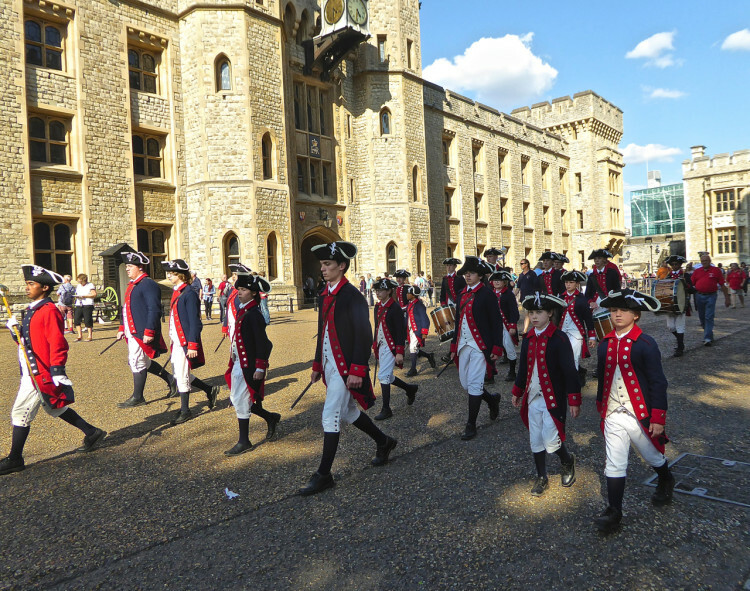 They were originally bodyguards to the King but later they guarded the important prisoners at the Tower and the Crown Jewels. 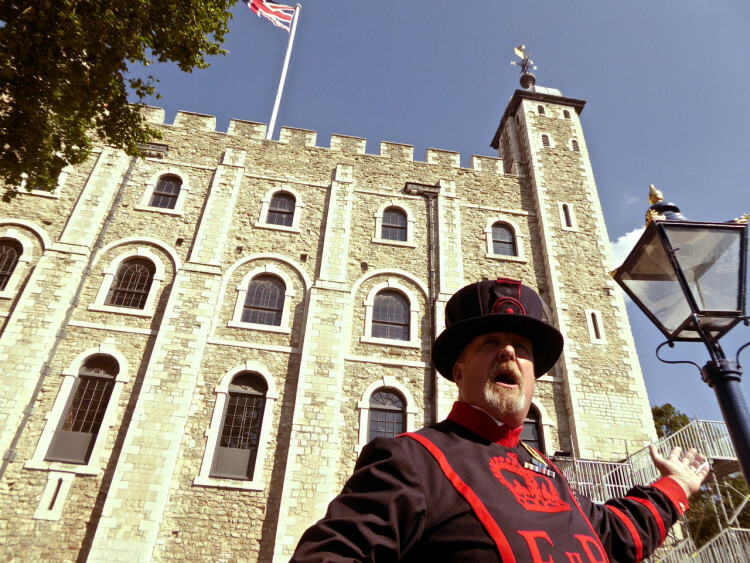 Today they serve a ceremonial function and a Beefeater tour is a must for any visitor to the Tower. Beefeaters are retirees from the Armed Forces and are chosen as much for their outgoing personalities as for their honorable service record. The Tower was once a thriving community of guards, politicians, royalty and those who provided services needed to support the Tower populace. 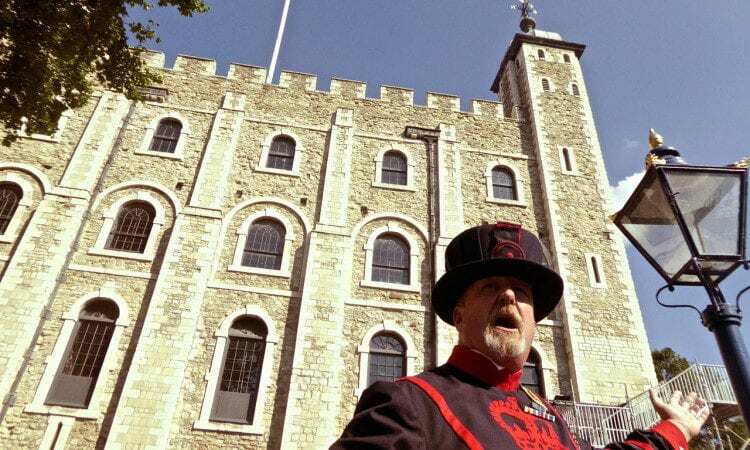 Today, the Yeoman Guards are extremely lucky because they still get to live in apartments on the Tower grounds. After all the visitors go home and the sun goes down they are in the best place to see if ghosts of those executed really do haunt the grounds. While the Tower is famous as a prison and a place for torture and execution, there were actually only seven people (officially) executed inside the Tower walls. This reputation was likely acquired because three of those executed were Queens of England. Two were unfortunate wives of Henry the VIII: Anne Boleyn and Catherine Howard. The third was the young queen, Jane Grey. Of all the deaths that occurred here Queen Jane’s was probably the most unjust. She was convinced by her relatives to accept the Crown willed to her by her cousin Edward VI, despite the fact that his half sister, Mary was first in the line of succession. She was only queen for nine days before Mary arrived to claim the throne. Upon her arrival members of the Privy Council changed their allegiance to Mary and Jane was arrested, tried and executed when she was only 17. 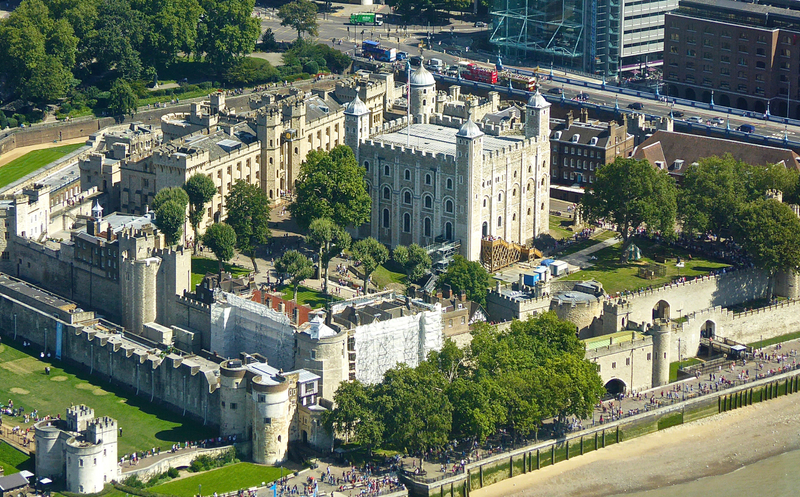 The Tower of London has many more secrets and history to discover so plan to spend at least three hours on the grounds. 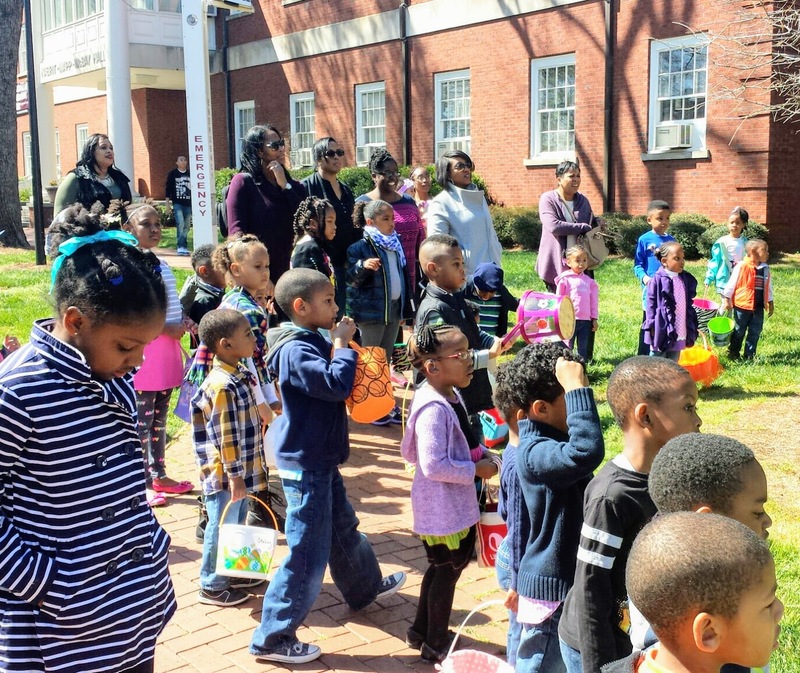 Free Fun in the Derby City!